(Natural News) After days of terrorizing and destroying much of California’s wine country and surrounding regions, several wildfires continue to burn out of control, killing more than 30 people in what has now become the deadliest fire in the state’s history. More deaths are expected, say officials in the region, as fires continue to rage, leveling forested land, single homes, and entire subdivisions. The most destructive of them, the Tubbs fire, killed 15 people, as newly released statistics also laid bare the extent of the damage, the San Jose Mercury News reported. In all, 31 people have died so far. Officials say the fire destroyed 2,834 homes and about 400,000 square feet of commercial space, as Mayor Chris Coursey said he expected those numbers to increase. Firefighters face another devastating round of the low humidity, dry foliage and strong weekend wind gusts up to 60 mph Friday as they battle more than 20 blazes in the deadliest week of wildfires in state history. “We had a series of statewide fires in 2003, 2007, 2008 that didn’t have anything close to this death count,” Daniel Berlant, a deputy director in the California Department of Forestry and Fire Protection, told the paper. In all, some 25,000 people have been forced to evacuate their homes; flames that have destroyed entire subdivisions have left thousands more homeless. As an aside, among the homes in Santa Rosa that were leveled by fire was one built in the 1970s by the late “Peanuts” creator Charles Schulz (Full disclosure: I was a huge Peanuts fan growing up and remain one to this day). His widow, Jean Schultz, got out of the house before it caught fire, said her stepson. 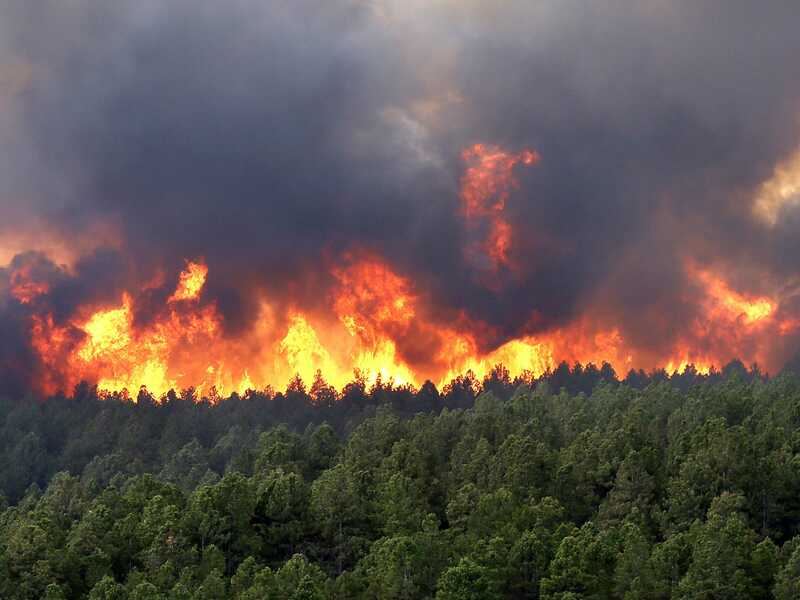 As fires raged across the state last year, The Daily Beast placed blame for them squarely on “climate change,” and even got officials in the state to agree with the conclusion. “Billions of years ago, the proliferation of life on our planet set the stage for the very first spark,” it said. And yet, there are still far too many sheep who willingly believe such nonsense as they blame all natural disasters — fires, storms, hurricanes — on phenomena humans have no control over whatsoever.